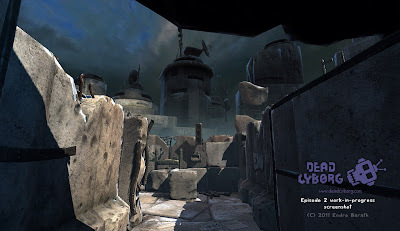 Dead Cyborg, a new donation based episodic science fiction adventure is coming soon to Linux. The game is based on Blender game engine and is made by one person Endre Barath, who has done all the coding, designing and written the story as well. 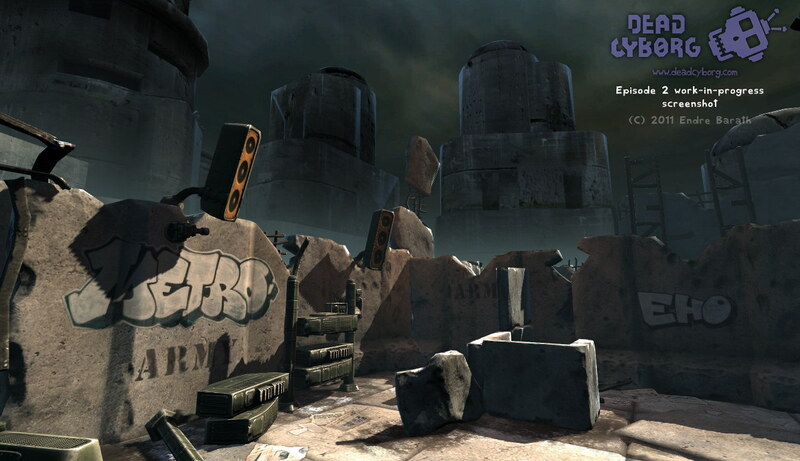 Dead Cyborg is an episodic game series with each episode having about 3-5 hours of gameplay. The first episode is going to be released soon as 99% of the development is complete. The game is based on a donation based model. You will be able to download and play the first episode freely but the next episode will be released only when enough donation has been paid by the users to cover the cost of making. But it does not mean that each and every user has to donate as it is a 'pay-if-you-like' game. However at this point, the development of episode 2 has already started and about 30% work is already done. You have woken up in a hibernator in a rusty post apocalyptic world. You have no memories, but you find some messages from the past, from yourself. You don't feel good as this is a radioactive and toxic place and you do not have much time. 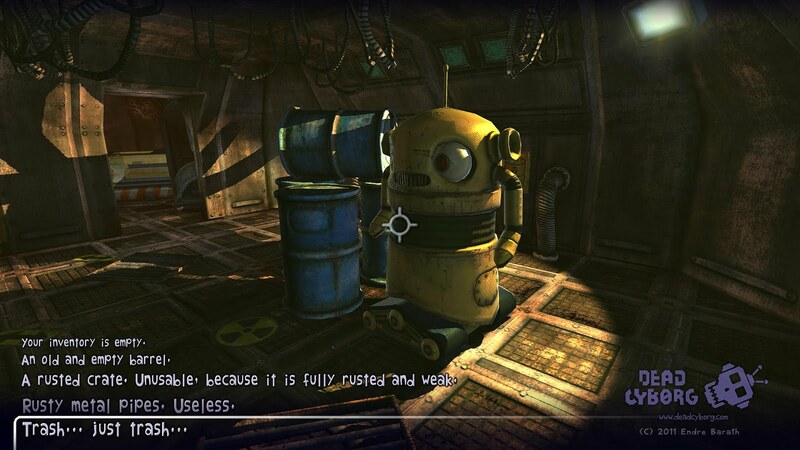 You must find some robots with strange answers to your questions and the cyborg. The gameplay is very simple and similar to other adventure games. You can move, take and use items, examine and explore the world. On your way, you will find information about the world and many other clues that will build up the story. The game looks really good in the teaser trailer and have generated quite a interest as it has already been featured on Game Trailers. Apart from the game itself, the donation model also looks interesting. This model is not new but more and more games are adopting alternative pricing/revenue strategy, may be after after success of Humble Indie Bundle and the weekly alpha model adopted by Wolfire Games. Also such models in themselves act as a promotion strategy otherwise many good freeware games fade just because of lack of promotion.